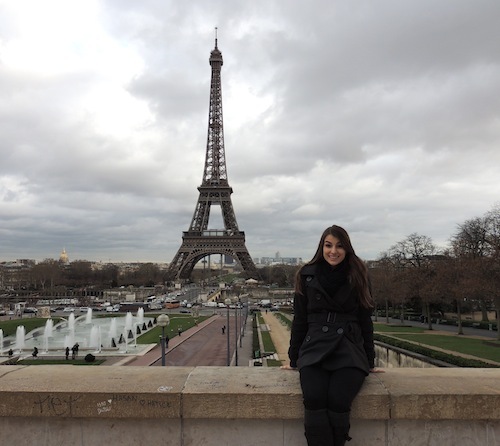 Kellie is an Abroad101 Global Ambassador this semester, blogging about her adventures abroad in Paris with AIFS. 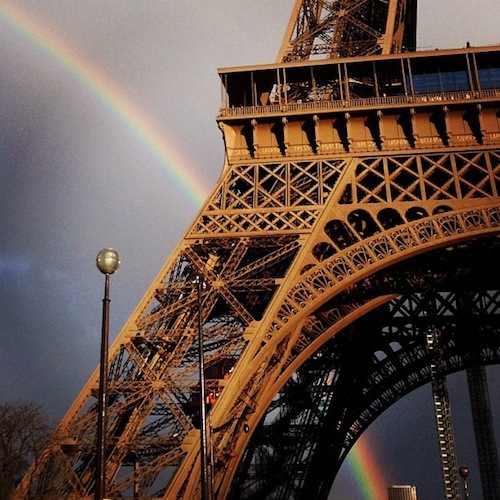 Read on to hear how she followed her dreams- all the way to the Eiffel Tower! “First off, let me start by saying how much of a blessing this whole experience has been. I could not have done this without my friends, family, my boyfriend, AIFS, Abroad 101, and everyone else that had a part in making my Paris dreams come true. So thank you all! Now that I got that out of the way, I will desperately try over the next couple of weeks to articulate how wonderful this adventure has been and why you should experience your own. While I may have always had this dream of Paris, I never thought I would ever step foot in it. However, Walt Disney, my idol, once said, “If you can dream it, you can do it.” I have that quote in my room back home and it is a constant reminder that my dreams are always attainable. After all, what a different world we would be in if Walt Disney never pursued his dreams. You may be wondering why a country girl from southern Texas is writing all this and what the purpose of this first blog is. I mean I am in Paris and I haven’t even gotten to the good part. The reasoning behind the mushy “follow your dreams” theme is because going to Paris and learning French was not something that everyone supported or understood, but I always had faith. Back home I constantly hear, “Why are you majoring in French when you live in Texas? Shouldn’t you be learning Spanish?” or “What can you do with a French degree?” Statements like that may hurt but I would always tell myself that those people didn’t matter. They aren’t the ones who should dictate my dreams. I arrived at Texas A&M University three years ago with no idea of what I wanted to do with my life. I sat down and thought about the things that truly interested me, you know, the things that make my eyes light up and my heart pound. I arrived at two conclusions, French and traveling. While those two things are great and all, I had no idea where to go from there. To make a long story short, I found myself in the International Studies office, and it was a perfect fit from the start. I am now a double major in International Communications and French. I consider myself very blessed that I was able to find a degree that can take me places and will allow me to do the things I love the most. What this all means is, you can too. If I can make it all the way from College Station to Paris by following my dreams, then so can you. Was I scared to leave my home? Absolutely. I was terrified, but it was the best decision I’ve ever made. To follow more of Kellie’s adventures, be sure to visit her blog: From Paris with Love.